Igor Gorgonzola Piccante wins the second step of the podium at World Championship Cheese Contest in Wisconsin from 6th to 8th March. 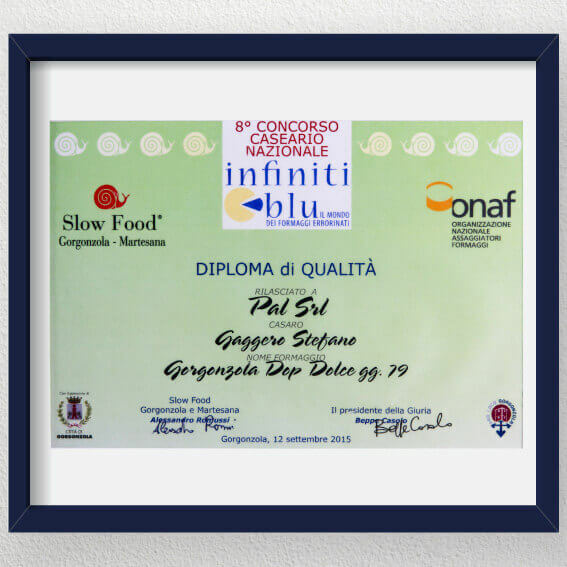 PAL Gorgonzola PDO obtains the “Diploma di Qualità” at the 8th National Slow Food Cheese Contest “Infiniti Blu” organized by Slow Food and ONAF. 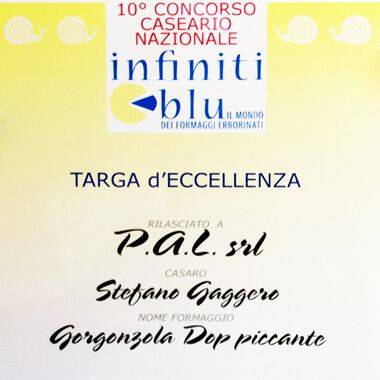 PAL Gorgonzola PICCANTE PDO obtains the “Diploma di Qualità” at the 8th National Slow Food Cheese Contest “Infiniti Blu” organized by Slow Food and ONAF. 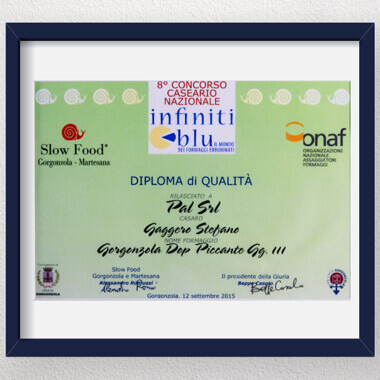 PAL Gorgonzola PDO obtains the “Diploma di Qualità” at the 7th National Slow Food Cheese Contest “Infiniti Blu” organized by Slow Food and ONAF. 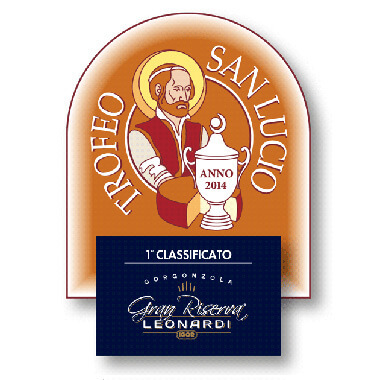 Leonardi Gran Riserva wins first prize in the category “Sweet Gorgonzola PDO Cheese” at the San Lucio CaseoArt Trophy. 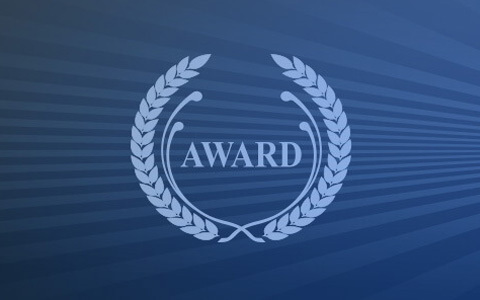 This award stands by far as the highest recognition in the Italian dairy craft. IGOR sweet Gorgonzola wins the Super Gold prize in the category “Blue Cheese” at the World Cheese Awards 2012, the international annual excellence award of the dairy industry held in Birmingham (UK), featuring 2,781 cheeses from 30 different countries. 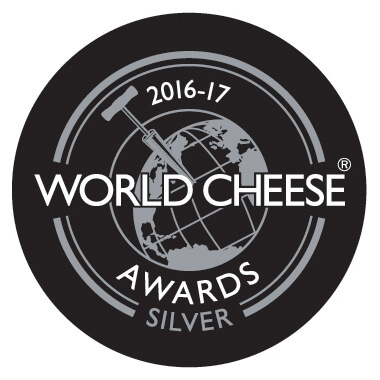 In the month of November, IGOR wins the Gold Medal in its category at the World Cheese Awards in Birmingham. In the month of March, IGOR is declared by DATABANK as "Company to watch in 2008" in the “Table Cheese” category. IGOR wins again the Gold medal in the "Blue PDO Cheeses” category at the World Cheese Award in London. IGOR places first at the World Cheese Award in London after having won the same prize in 1997, thus confirming its ability to meet high-quality standards over time. Once again, DATABANK, based on a study similar to that carried out in 2001 (see below), ranks IGOR as the leading Italian cheese factory. In the month of July, DATABANK, a leading company in financial research and financial trends analysis, ranks IGOR as the leading Italian cheese factory in the development and production of "fresh, soft and semi-firm aged cheeses" for the year 2000. 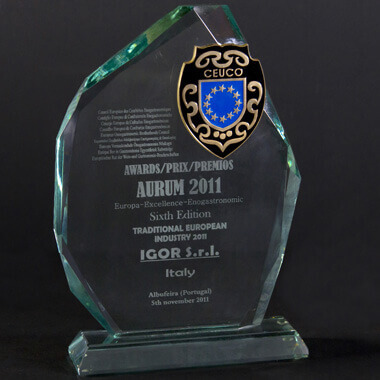 The French magazine PROCESS ranks IGOR as one of the best eighteen cheese factories of the decade in Europe in the “FOOD” sector. 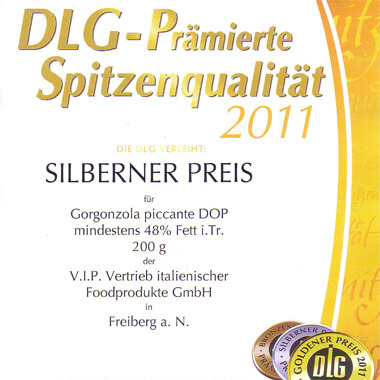 IGOR Gorgonzola wins the first price in the "Blue cheese" category at the I.F.E. contest in London.